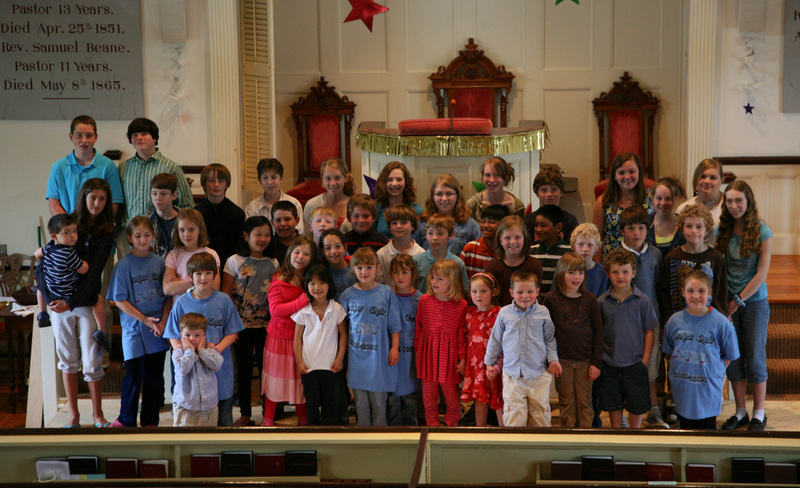 Sunday School is offered during the academic year (September – May) for children ages 3-12 years old. Each year we begin a new Sunday School year on Rally Day in September and conclude on Children and Youth Sunday (usually the 3rd Sunday of May). 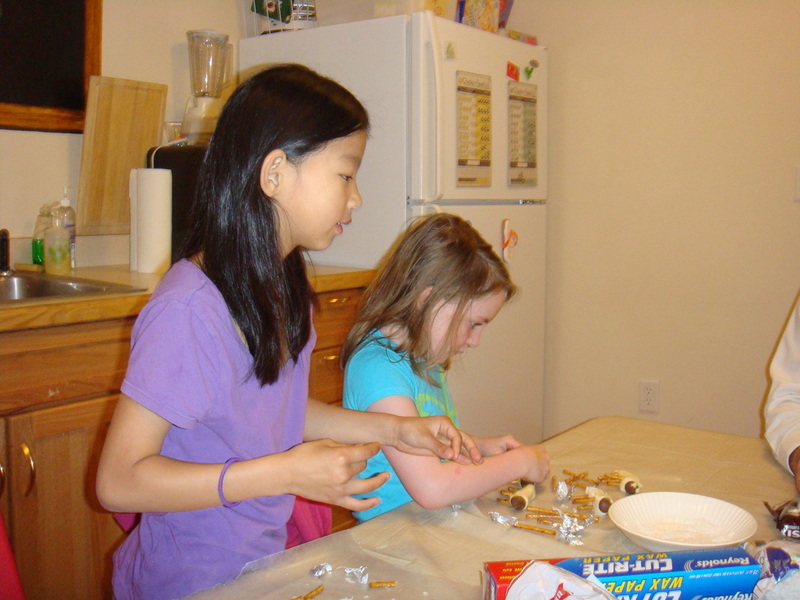 During the summers and vacation times, we offer a less formal one-room schoolhouse Sunday School option so kids always have an engaging opportunity for learning. Check out the full church calendar for all events and dates. 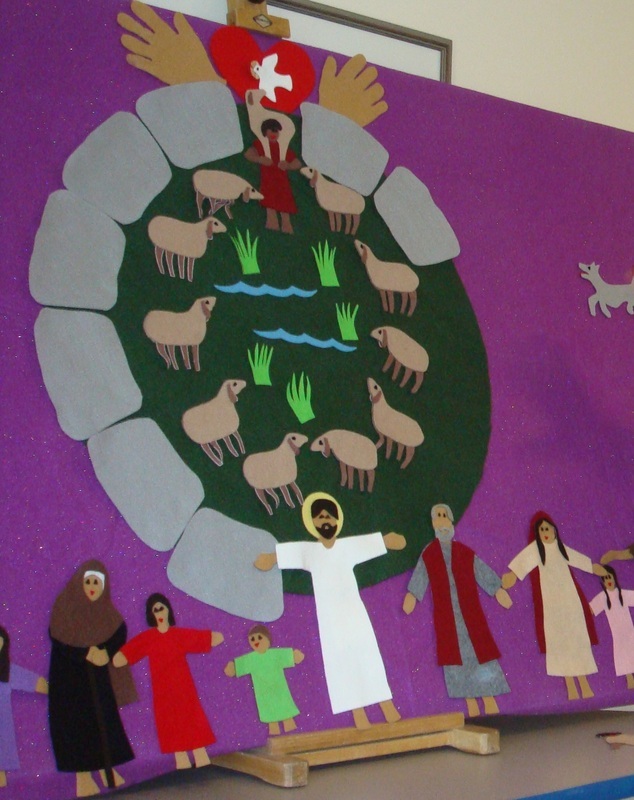 Children and their families are invited to gather before the service at 9:40 in the vestry for Circle Time, a special time of announcements, birthday celebrations, children’s offering, and prayer. 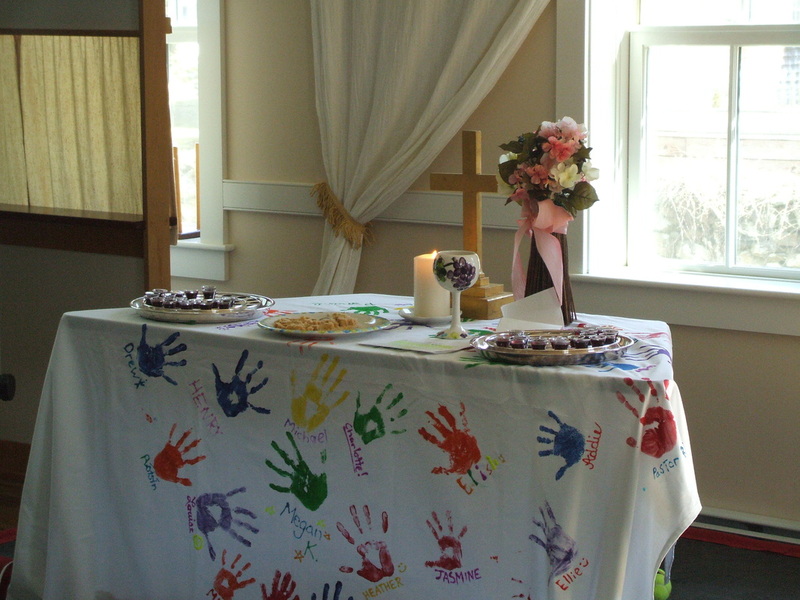 Children then attend the beginning of the service with their parents and then are invited to leave for Sunday School. 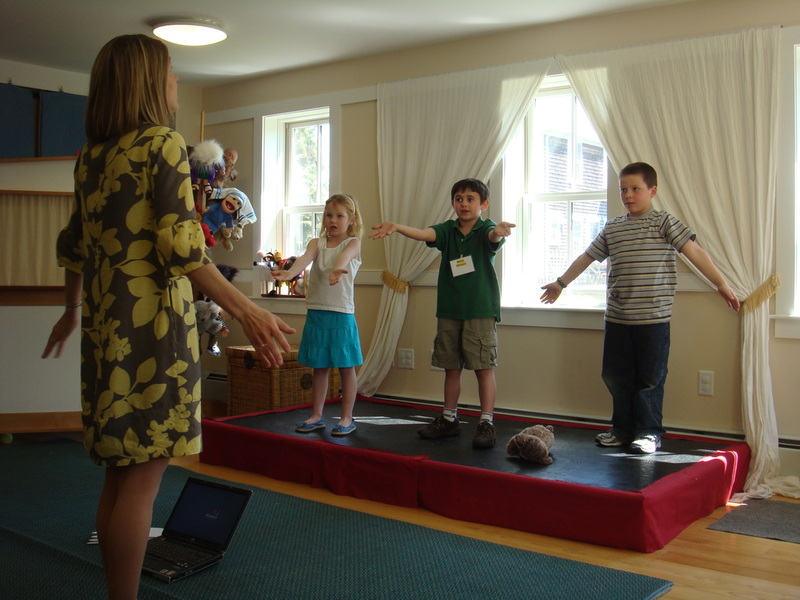 Children are escorted by volunteers to their appropriate Sunday School class in our Education Building and then are escorted back to meet their parents in the vestry during Coffee Hour. 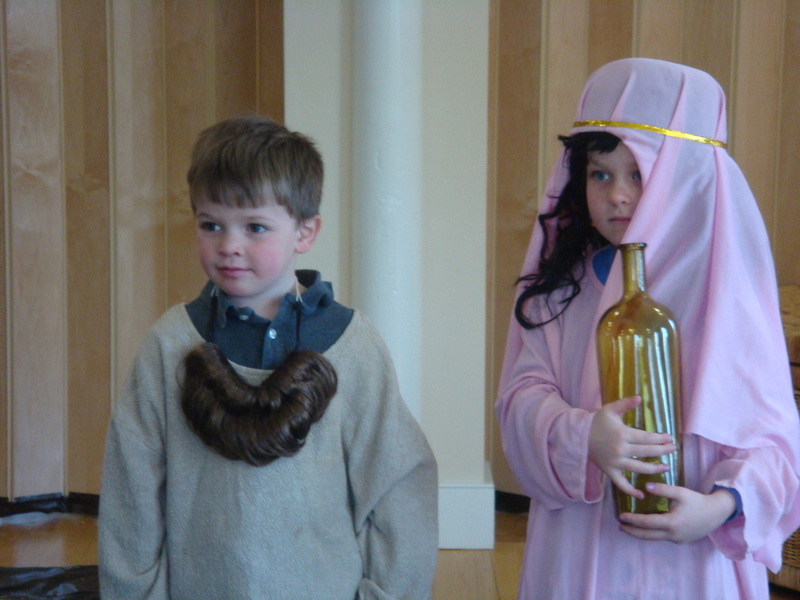 performing arts (music, drama, puppets, etc. ), games, cooking, movies, and outreach/service projects. In a rotational setting, the same Bible story or theme is taught for several consecutive weeks. Each week, learners rotate to a different workshop. The story remains the same, but children encounter it in different ways, which helps them learn it and keeps them engaged. Youth Class, Sunday School for our teenagers, meets every Sunday morning when Sunday School is in session. The class is open to all Middle School Students and aims to have in-depth discussions and activities in order to prepare them for their upcoming confirmation journey. Confirmation is offered in alternating years to 8th and 9th graders and you can read more about it here. Child Care for infants and toddlers is available every week of the year during the worship service. The Child Care area is located in the nursery on the first floor in the church vestry. We utilize a sign-in and -out procedure and collect cell numbers so we can notify you during the service if your child needs you for any reason. Download the brochure below for more detailed Child Care information.